After nearly a week of social and news media speculation, Kings Island has revealed that Firehawk is the roller coaster that will be headed to the grave in October. Final rides will begin this weekend, with its last days of operation occurring during the final weekend of Halloween Haunt and The Great Pumpkin Fest, October 26-28. The steel coaster originally debuted in 2001 as X-Flight at World of Adventure in Aurora, Ohio. After six seasons of operation there, the ride was relocated by the Cedar Fair Entertainment Company to Kings Island, opening as Firehawk in 2007. 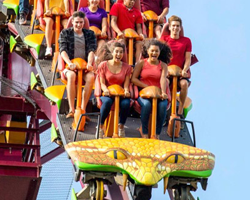 Firehawk has been a guest favorite throughout its 12 seasons at Kings Island, which is why the announcement was made now so fans of the coaster can get in their final rides before it closes in five weeks. Although it remains popular, the ride has reached the end of its service life. Firehawk takes willing test pilots more than 115 feet into the air and through five inversions in a flying position, facing the ground and watching everyone and everything below it race by in a blur. Once riders are seated, the train seats are tilted backwards into a laying down position and dispatched. The train travels in reverse out of the station, turns left and then travels up the 115-foot lift at a 33-degree angle. At the top of the lift, it dips down into a twist that turns the trains upside down into a flying position where riders face the ground and experience the unconceivable feeling of flight. Riders fly at speeds up to 51 mph along 3,340 feet of track. Firehawk has given over 6.7 million rides since opening at Kings Island in 2007. Its record year was 2014, when 624,016 rides were given. A year before “The Brady Bunch”, another TV family visited Kings Island with “The Partridge Family” cast arriving at the park on August 7, 1972 to begin filming episode No. 66 of the popular prime-time ABC sitcom. Filming lasted a total of five days through August 11. 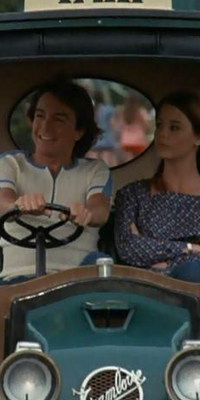 While not as widely recognized as The Brady Bunch episode filmed a year later, The Partridge Family episode is the most significant visual record of Kings Island’s first season. It’s a must watch for all Kings Island fans. 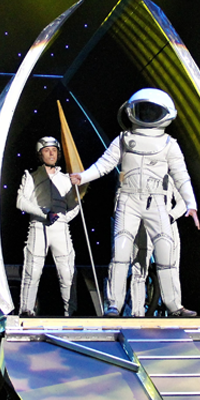 Time is running out to see Gravity, our cirque-style show in the Kings Island Theater. It closes two weeks from today on August 19. The show features an incredible showcase of strength, balance and athleticism. Kings Island’s Ultimate Stunt Show, presented by Airheads Xtremes, features some of the best performers in the world attempting death-defying stunts, and for many of the performers, this life is all they’ve ever known. 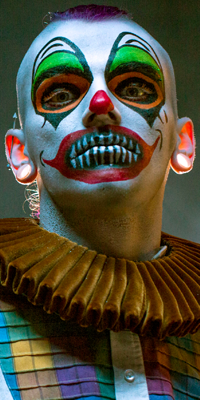 Ian Garden, Ultimate Stunt Show’s ringmaster, grew up with the circus like countless others. His grandfather started Garden Bros Circus of Canada, Canada’s oldest and first circus and the country’s biggest circus. After getting his education, Garden continued the family tradition. 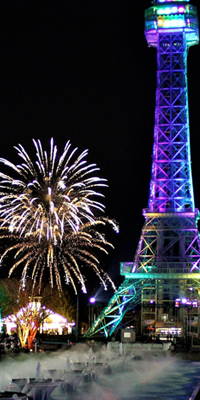 Family fun, thrill rides, an amazing stunt show, live entertainment, great food topped-off with colorful bursts of fireworks at park closing is what guests can expect when they visit Kings Island this weekend. 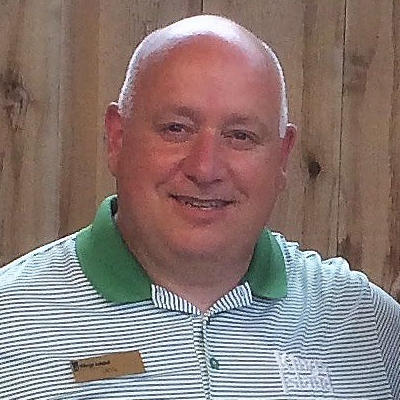 August 2 is a day Kings Island's area manager, digital marketing Don Helbig will always remember. It’s a special day – the anniversary of his first-ever ride on The Beast roller coaster in 1979. Working on one of the two K.I. 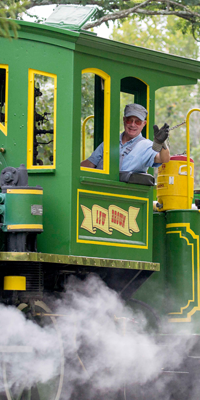 & Miami Valley Railroad trains is one of the most exciting and coolest jobs at Kings Island. Imagine how thrilling it must be to be in charge of driving the Blue No. 12 or Green No. 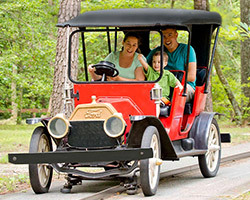 19 locomotive and transporting guests to and from Soak City Water Park every day. Kings Island has hundreds of jobs that will make people scream! The park is now looking for demented souls to help terrorize guests for its annual Halloween Haunt. 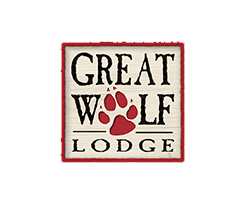 It's the largest Halloween event in the area and begins its scare season September 21 and continues every Friday and Saturday night through October 27. 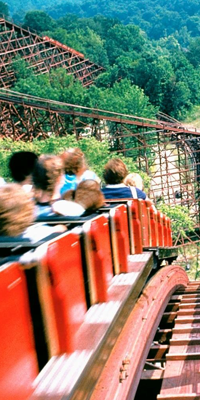 A visit to Kings Island is more than just a day you spend in the park. It’s the stories and the memories that you will share together for the rest of your lives. In 1974, Brandon Driscoll was just about to turn four when he took his first roller coaster ride on Woodstock Express, which was known back then as the Scooby Doo roller coaster. 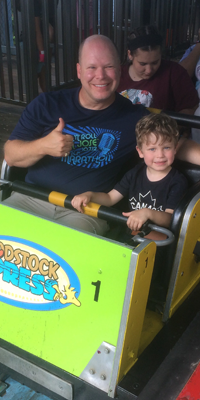 On Friday (July 27), he took his four-year-old son, Ewan, to Kings Island so that his first wooden coaster would be the same as his first wooden coaster. 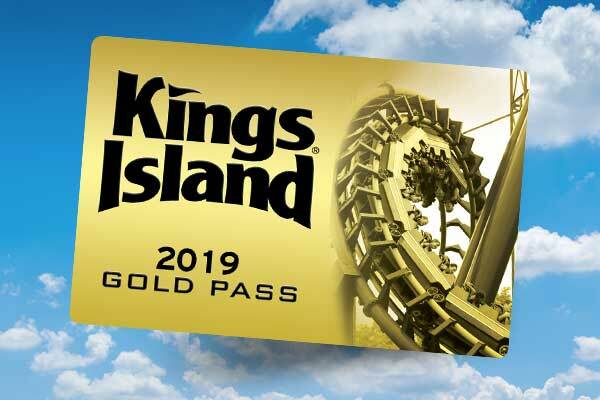 A stunt show is returning to Kings Island for a limited time run. 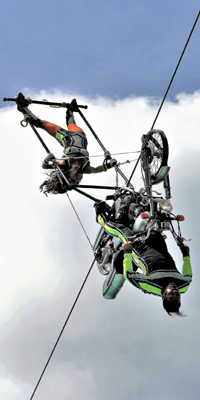 The Ultimate Stunt Show features edge-of-your-seat thrills, including a Double Motorcycle High Wire over the Royal Fountain on International Street, Wheel of Destiny, High Wire Tight Rope Acrobats and Globe of Fear. 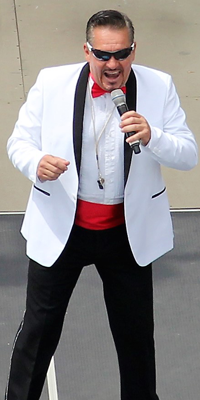 The show will be performed three times daily – 1 p.m., 3 p.m. and 5 p.m. – July 30 through August 19. Snoopy’s Barnyard Friends has all kinds of creatures to pet, feed and even ride! 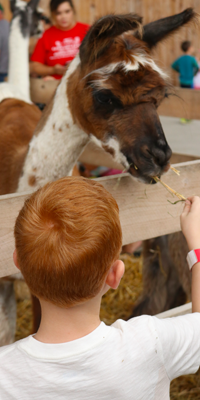 The barnyard includes one-on-one interactions with horses, alpacas, goats, chickens, cows and more. Read on and get to know some of our friends from Honey Hill Farm, almost all of whom are rescues!